Seven Michigan youth were named Michigan Dairy Ambassadors after gathering at the 2019 Great Lakes Regional Dairy Conference for leadership training, commencing a year of dairy promotion and outreach in Michigan. The program welcomes students in high school and college to hone in on their skills and learn how to communicate about their passion in dairy. 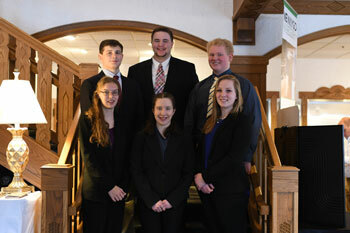 The Dairy Ambassadors began their year with a day-long leadership training on Feb. 8 in Frankenmuth, Michigan. Throughout the day, ambassadors took part in dairy promotion brainstorming, sat in on Drew Vermeire’s presentation titled, “Management of Young Calves for 2020 and Beyond” and an inspirational presentation by Mark Jewel titled, “Beyond Survival: Rediscovering How to Strive in Tough Times.” They wrapped up the afternoon with training to harness their “Youth Voice” with Sara Keinath from MSU Extension. Led by Welch and Bridget Moore, Industry Relations Specialist at the United Dairy Industry of Michigan, the ambassadors were guided through engagement activities and challenged to try new things such as starting conversations with new people. Ambassadors will take part in further trainings and represent the dairy industry at promotional and outreach events throughout the year. Next up for the ambassadors is a communications training at UDIM in April and representation at industry events throughout the year, including Dairy Day at the Capitol, Michigan Livestock Expo Sale‐abration, Michigan 4‐H Dairy Days Awards Banquet, Breakfast on the Farm and the MMPA Leaders’ Conference. The newly designed, participation-based program will offer the ambassadors an opportunity to earn an interview after accumulating points. Their application, resume, participation, and interview will determine the junior and senior scholarship winners for 2019. 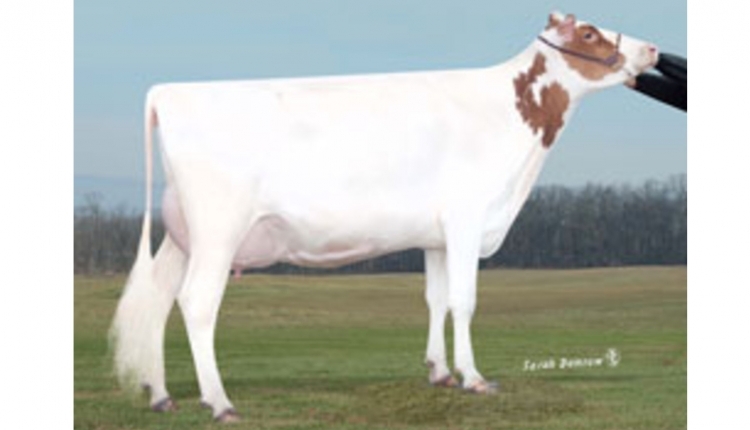 Recipients will be announced at the Great Lakes Regional Dairy Conference’s Michigan Dairy Industry Recognition Night February 2020. The Michigan Dairy Ambassador program is administered by the Great Lakes Regional Dairy Conference. 2018 Michigan Dairy Ambassador Scholarship recipients were announced at this year’s recognition night. The senior scholarship was awarded to Leta Larsen of Scottville, Michigan and the junior scholarship was awarded to Abby VanDyk of Kalamazoo, MI.